In the first of a series about Routes To Independence, Gerry Hassan reflects on where we are – and argues that independence is about more than a referendum. It is about changing minds and Scotland. • Independence is about more than an indyref: this is the politics of process. The substance and nature of independence matters much more. • There has to be more focus on doing politics differently and that includes in government. For example, on the latter, the Scottish Government has to aspire to do politics by more than announcing annual shopping lists of legislative policies and then assuming they are done. Detail and delivery matter. • The cause of democratising Scotland is about more than the Scottish Parliament and independence. Moreover, Scotland has in many senses retreated democratically the last two decades of devolution with the forward march of centralisation under Labour-Lib Dems and then SNP, and the atrophying of local government. • Political and social change cannot just be about abstracts such as ‘independence’. This does not win over more than the true believers and is a political message which is completely unfocused on winning over floating voters. • Independence cannot look to win by one vote or 52:48 like Brexit. The last result matters and that figure of 383,937 votes – and turning round 767,874 voters to win by a similar margin. This should be central to the politics of independence and is critical for a future result to have legitimacy and be accepted by the No side if they lose. • This is about a politics beyond the short-term and looking to create as wide a national consensus or sentiment for independence and self-government. This fundamentally matters to the spirit and culture of what Scotland would be like in the early days of independence: meaning what we do now and how we act in the here and now matters in how it affects and shapes that independent Scotland. • We need to think about creating new spaces and resources which are not run on goodwill and a shoestring and the DIY Scotland of activists. Independence needs new platforms and institutions (think tanks, research agencies, publications), which connect sustainable business models with the energy and dynamism out there and the audiences and participants who want to support and engage with them. • One practical observation. Critical to any future indyref will be Scottish Green votes (who have a soft indy vote) and that of Labour and Lib Dem voters. To make sure a 2021 mandate is inarguable the SNP, Scottish Greens and Scottish Socialists should all agree a form of words on an independence mandate in their manifesto. One agreed paragraph shared by the three would do. This would mean if, as is likely, the SNP do not win a majority of seats on their own, if there is an overall independence majority, then there is no argument and doubt what voters have endorsed. So just to be clear, Mr Hassan, are you proposing that the next referendum require a ‘super- majority’ of 60% of Yes to be deemed successful ? And can Bella, as publisher’s of the article maybe confirm their thoughts on this ? I’m publishing a series of views Taratanfever to develop a dialogue in difficult times. I certainly don’t argue for building in any requirement, nor do I think does Gerry. I think instead he is arguing (he may clarify himself) that its about winning over a whole swathe of the country. What don’t you believe Terence? May be something to do with the overwhelming negativity of this article based on the need for a new politics which sounds remarkably like what is happening at Westminster where autocratic control of parliament and breaking of electoral laws has become the norm. A lot Has happened since 2014 that this paper could do more to promote in a way that makes clear the politics in Scotland are already so different to that in Westminster. As Benedict Cumberbatch CBE hammered home many times in his Brexit program trailers, each day before, during and after his Brexit TV program, there is a new politics in town that “you cannot change”. Well yes we can and already have despite the UK media negative attitude to Scotland and lack of reporting of the positives that would reveal why the SNP are voted for in such large numbers in the last 11 years. Polls have shown a significant increase in favour of independence now some of the realities of Brexit have been revealed so your comment that whole swathes of the country have still to be won over is misleading. Referring to conflict between Sturgeon and Salmond is pure Westminster ‘divide and rule’ play and may not be true so why you mention it is questionable. I remember as I was casting my vote in Partick in the devolution referendum, a respectable tory-looking elderly lady saying to me as she put her vote in the ballot box “Oh I do hope we’re doing the right thing.” Firstly, she was voting yes, despite all her instincts and fears, secondly she was assuming that I was also voting yes, thirdly she had no doubt that that would be the result. That’s where we need to be – to have clear certainty that independence is the settled will of the people. Otherwise we risk being mired in something similar to Brexit. I would argue that the major problem was neither the Brexit referendum itself nor the result, although their are serious issues with the leave campaign. The major issue has been the handling of the negotiations by Theresa May. She could have opted for a number of different paths to seek a planned withdrawl but instead opted to pursue red lines and triggering Article 50 too early. A bad workman always blames the tools. Referendums are not the issue, it’s what you do afterwards. Some of Gerry’s comments are spot on, but he doesn’t address the fact that a majority of those born in Scotland voted yes. The people we have to convince are the “unsettled” immigrants, mainly from England. This is no easy task. This is an aspect we are not ‘supposed’ to talk about, and Dr. Hassan never will, Alex, however it remains a critical factor in ever “understanding why Yes lost”. Culture and language is the key – I.e. 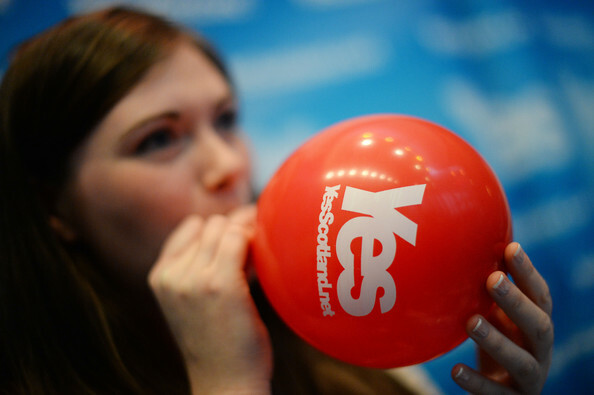 most Yessers are Scots speakers, most No’s are probably not – which reflects the fact our preferred identity (which is what a vote on independence is asking) is culturally and therefore also linguistically determined. In this regard the Scottish situation is little different from Quebec and Catalonia. Dr. Hassan’s and the other related articles all tend to ignore what is probably the most important influence in any Yes/No decision – our culture, the basis of which is language. It’s a very delicate subject. There are of course a large number of activist YESSERs who speak with an English accent and I’m sure they would be happy to take a specific role. I must admit I’ve not had that conversation with my group some of whom are not native Scots. I shall now do so. Since 2014 I’ve been of the opinion that Scotland needs to be repeatedly kicked in the face by Westminster before the majority of Scots get a clue about our relationship with the UK government. With EVEL and Brexit and the repatriation of EU-based powers they have started limbering up, but nobody is feeling the effects… yet. The other most important thing we need is our own media. In the mid-90s the Tory papers were in retreat: everyone from the BBC downwards had an assumption of Labour in power and devolution. Today, their grip on the media is as strong as it has been since the 1930s and is completely controlled by plutocrats from outside Scotland. We effectively have no indigenous mainstream media, an extraordinary situation. That’s stark read but confirms that ever on the rod to nowhere if we keep bumping along the same road we’ve been travelling sinc we lost the referendum . It seems too many that some SNP MSP are quite happy with positions and the firs is gone. I think this is a very fair assessment of where we are. With the unfortunate news this past week more than ever the SNP leadership must do something dramatic, visionary but also practical. I’ve been pressing the case for some time we need to live and act as if we are already independent . This applies to every politician, councillor, and yes supporter. The Scottish government could use its existing powers to control our economy and make life significantly better for the Haves and Have-nots. Managing a budget largely dictated from Westminster has its limits. There is not a reserved power the Scottish government couldn’t effectively replace, improve or mitigate. Globotics are likely to lead to the loss of around 70% of jobs some of which will be replaced by other jobs but not all. The jobs which will be sheltered from this will be creative and compassionate. Given our technological position Scotland has the chance to frame a future using our abilities to reduce conventional hours positively to improve a work life balance and family life while introducing a universal citizens income so that everyone has at least enough to live on. Under existing powers the Scottish government could introduce Annual Ground Rent to fund these initiatives . This would drive the wedge between us and rUK . At the end of the day if we wish to persuade enough folk to be committed to an independent Scotland then they have to see it in their pockets. The chaos of Brexit gives us space and time to do it if we are brave enough and prepared to disrupt the Establishment model which the SNP needs to stop managing . They will get no thanks from the Unionisys for doing better than the Unionists. Our politicians don’t have a solution to BREXIT or how to get politics working for the people so perhaps this is the time to start discussing independence? People may be interested in a system where they are able to make their own decision over a range of activities from education, work and retirement. Government could allow people to retire on state pension from age 55 if they just had the systems in place to enable it. Ideally our UK government should introduce the changes required but there is nothing stopping Scots demanding the changes via their MP’s and if that does not work then seek the changes via indyref2. Politics needs to change to give people a chance to show their government can work for the country a lot better than current offerings. Political party’s need to stop squabbling over the the best way to run a broken system. It’s time to utilise 21st Century technology and ideas to develop the political system which is in all our interests. Scotland had the chance with Indyref1 but our politicians failed to listen, hopefully Bella Caledonia and other such publications can get the message through that BREXIT even without a deal is a challenge which the country can thrive if the people are are given the chance to change their government by adopting a new operating system fully backward compatible with current offerings. Absolutely outstanding article. Thank you Gerry and Bella. The Scottish exceptionalism argument – the one that says after Independence we’ll have a more moral and transparent government & a different, better kind of politics – has been destroyed over the past three months, beginning in November when the public learned that Salmond had to banned from the VIP areas of the Edinburgh Airport, and the SNP Deputy Leader Angus Robertson knew about it, and ending with the court cases we’ve seen this month. So what is left that can be used to convince the public that the benefits of independence outweigh its costs? Between a Yes vote and Independence Day our economy will contract by double digits, due to the loss of fiscal transfers from the UK and the relocation of our Finance Industry, which accounts for 9% of GDP and supports, directly or indirectly, 1-in-12 jobs in Scotland. The loss of the BoE-backed £ will leave the new state unable to provide a credible Lender of Last Resort; thus the firms will have to move to the UK’s jurisdiction or else faced being wiped out due to a devastating loss of competitiveness vis a vis UK-based firms. Unless you plan on closing the border, what follows from a crisis like that is depopulation. If the core justification for a second indyref – and independence – is to avoid the disastrous effects of Brexit then the indpendence campaign is going to be a Project Fear at least as much as a positive campaign. As the devils advocate, Gerry fails miserably. Of course we shouldn’t fight the same battle over an over, however we have seen the VOW, we are aware of the ruses, promises, threats. The number of high profile “naysayers” commenting positively on the independence possibilities is increasing on a daily basis. The SNP are in government to run the devolved areas of Scottish Government, which they are doing admirably. Perhaps since Ruth’s confinement, he hasn’t heard the grating teeth exclaiming,” get on with the day job, and forget independence.” The different approaches of the Scottish Government and Westminster, even though Whitehall has a major shout in both houses, is that SNP in Government are attempting to work for the people. We have MPs and MSPs travelling around Europe on an ongoing basis, talking up Scotland’s fight for Independence and looking for trade opportunities. The Scottish Government has opened roughly 30 sites in 19 countries, vying for trade and investment. Successfully I may add, much to the chagrine of a Dr. Liam Fox. Methinks that Gerry needs to get his reading glasses on, rather than his writing hand typing, it is evident that Scottish Independence, still is on the front burner. There may not appear to be much change in the marchers, the yes groups, the poets, bards and minstrels but all of us see the sea change, now with more than hope in our hearts, we see progress in Scotland’s favour, as Westminster slides in the mire of its own creation.